It is often just one decision that releases the bolt, opening the door to a new life. The first step down a new road of a thousand smaller steps begins with one choice—to board the ship or to stand on the dock, to accept the marriage proposal or to wait for another, to sign the document or to leave it blank. Without that first choice, a different life would have been lived. Everyone, at some point, stands at this crossroad. But an impulse must be obeyed or rejected for untold other events, decisions, and influences to begin to unwind. This is one of the mysteries of life, how so much depends on one brief moment. Young Jozef De Veuster (Damien was his religious name), growing up in a large family in rural Belgium, could never have imagined where and how his life would end. He was most likely going to follow the path of most other young men of his time and place—get married, have a family, go to Mass on Sunday, and take over the family farm. But an older brother was a priest, and two sisters were nuns, so a religious vocation was always a possibility. Damien eventually responded to the Lord’s call and his own impulse toward religious life and entered the Congregation of the Sacred Hearts of Jesus and Mary, just as his brother did before him. But just as his brother, Father Pamphile, was slated to leave for Hawaiʻi as a missionary, he had to abandon his voyage for health reasons. And thus a decision had to be made. A pivot point had arrived. Was Damien to replace his brother and go to Hawaiʻi or not? Leave family forever or stay home? Be a foreign missionary or stay among his own? Brother Damien walked the long plank upward and boarded the ship. He arrived in Honolulu in March 1864 and was ordained a priest in May. He would live his entire priestly life in Hawaiʻi. He never left the Hawaiʻian islands again. Father Damien served in parishes for several years, learning to love his parishioners and being loved by them in return. Then, in 1873, the bishop asked for volunteers to go to an isolated leper colony on the island of Moloka’i. Father Damien volunteered. For the next sixteen years, he dedicated himself without reserve to this exiled community. He carried out more than a “ministry of accompaniment.” He accompanied, yes, but he also led, taught, inspired, and died to self. Father Damien’s robust health and farm background made hard work natural. He enlarged a chapel and built a rectory, a road, a dock, and numerous cottages for the lepers. He showed the people how to farm, to raise cattle, and to sing (despite his diseased vocal cords), and to play instruments (despite his missing fingers). He was a vital force walking in a living graveyard. Life on an isolated leper colony was psychologically difficult for everyone, even the priest. But Father Damien brought faith and human dignity to a depressed population alienated from family and society. He treated the sick and the dying—and everyone was sick and dying—with the dignity of children of God. A proper cemetery was organized, funeral Masses were said with the accompaniment of a choir, and solemn processions bore everyone to their final resting place. This was a far cry from the inhuman chaos that preceded his arrival. Father Damien carried out all of his pastoral work with fatherly concern. He was there, after all, because he was a celibate priest. No married Protestant minister would have dared to place himself, his wife, and his children in such a dangerous situation, and none ever did. Like all good fathers, Father Damien was both joyful and demanding. He was open. He smiled. He cared. He scolded. His source of strength was not merely his solid foundation in human virtue but primarily his Catholic faith. Father Damien’s love for the Mass, the Holy Eucharist, and the Virgin Mary deepened through the years. His greatest non-physical sufferings were the lack of a priest companion with whom he could converse and to whom he could confess his sins. 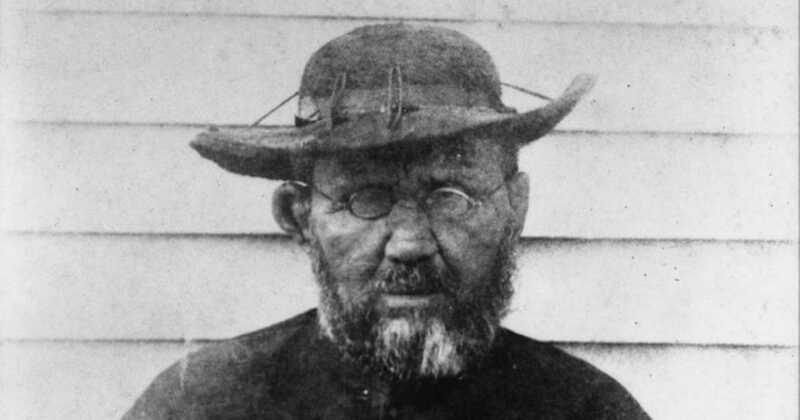 Father Damien contracted leprosy after eleven years in the colony. He personally never wrote to his mother with the news. But when the old widow in Belgium learned of her son’s illness, she died of a broken heart. 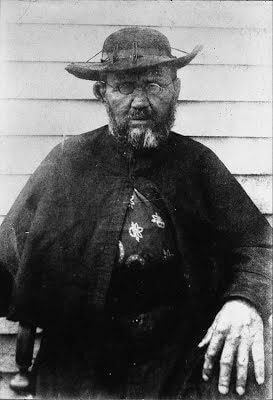 Father Damien lived five years with leprosy, continuing his priestly work, and died in 1889 at the age of forty-nine. He was canonized by Pope Benedict XVI in 2009 after two medical miracles were attributed to his divine intervention. Saint Damien of Moloka’i, intercede on behalf of all fathers to make them ever more generous in serving without reserve the families they head, making your life not only a source of inspiration, but also of emulation, to all who know of your heroic generosity.